In this photographic documentary, award-winning photographer Stephanie Calabrese reveals an intriguing look at Monroe, Georgia, a small southern town, mostly untouched by the suburban sprawl of Atlanta, Georgia. Through 53 vividly-honest black and white images captured from 2013-2015, the book exposes a raw and unique view of a small-town in transition. Not unlike many hometowns throughout the deep south, this important documentary portrays a struggle with growth and the gradual effects of time on the town's identity. Images pose questions and expose sharp contrasts, rare beauty, staunch faith, a sense of humor, and a fierce pride. Mobile photography, and specifically iPhoneography–the art of shooting, processing, and sharing images with your iPhone–is one of the most exciting and revolutionary areas of photography. 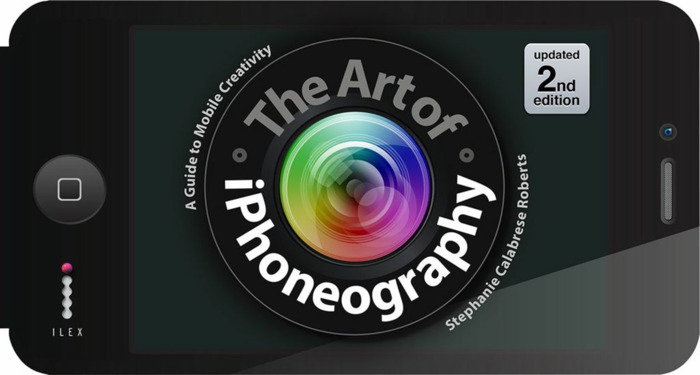 In this fully updated edition of Stephanie Calabrese's best-selling introduction to the subject, you will get up to speed with the latest photography apps, techniques, and web-sharing platforms. Creative exercises and step-by-step instructions, along with a showcase of the work of talented iPhoneographers from around the world, will inspire and guide you to capture, enhance, and share your own view wherever you go. First Edition published April 2011 and Second Edition published December 2012 by Pixiq, an imprint of Sterling Publishing, in the US and Canada, and by Ilex Press in the UK. The book is available online and in stores throughout the world in English, German, French, Italian, Spanish, Dutch, Portuguese, Finnish, Lithuanian, and Korean languages. More than 100,000 copies have been sold. Mostly candid and spontaneous, documentary photography serves to preserve a moment in time. 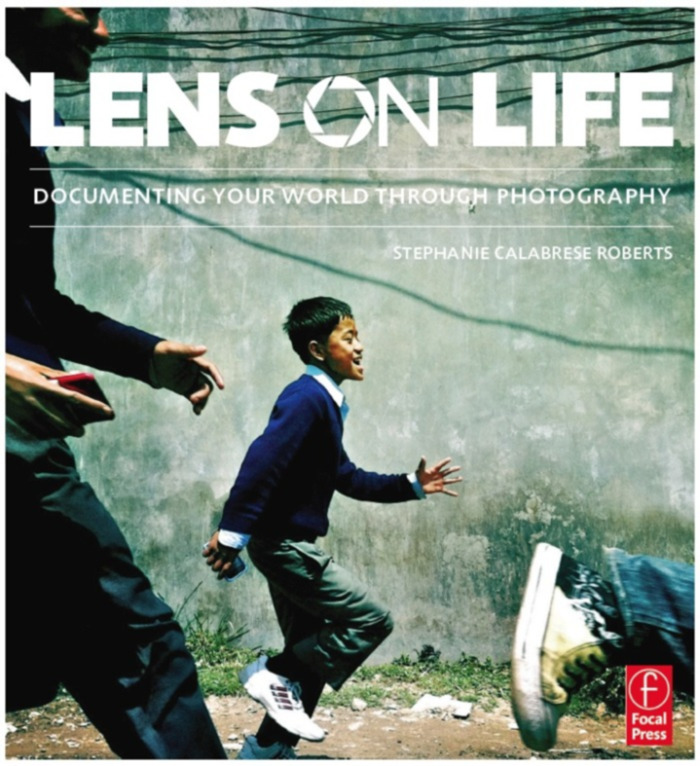 In Lens on Life, celebrated documentary photographer Stephanie Calabrese inspires you to explore, shoot, and share documentary photographs, guiding you as you define your own style. Illustrated with the author's striking artwork as well as that of seasoned photographers including Elliott Erwitt, Elizabeth Fleming, Sion Fullana, Ed Kashi, John Loengard, Beth Rooney, and Rick Smolan who have visually documented stories all over the world, this book will sharpen your artistic intuition and give you the confidence to take on personal or professional documentary assignments. Full of advice that will challenge you and strengthen your photography, Lens on Life shows you how to capture an authentic view of your world. Published July 2012 by Focal Press in the US and Canada, and by Ilex Press in the UK. The book is available online and in stores throughout the world in English, French, Italian and Simplified Chinese. When a photograph captivates you and stirs your soul, you know it instinctively. You not only see the image, you feel it. But how do you capture shots like that with your own camera? How do you make your photographs worth the proverbial thousand words? From portraits to landscapes, still-life to documentary shots, Expressive Photography will not only show you why certain images sing, it will also teach you how to create your own compelling photographic images--one click at a time. Visually stunning and unique in its collaborative approach, this book brings the spirit of the immensely popular Shutter Sisters' blog to the printed page through the voice and photography of its founding members: Tracey Clark, Kate Inglis, Paige Balcer, Maile Wilson, Andrea Scher, Jen Lemen, Karen Walrond, Sarah Ji, Irene Nam and Stephanie Calabrese. Published 2010 by Focal Press in the US and Canada, Ilex Press in the UK, and publishers around the world. The book is available in numerous languages around the world.